Despite some lacking foresight and thinking that Superman won’t be appearing in Justice League, let’s face it, we all know he’ll be there. Still, I have to admit that failing to include Big Blue in the latest round of marketing was indeed a big risk that hopefully won’t backfire. Perhaps that served as minor motivation though for Zack Snyder releasing a picture of Henry Cavill’s Man of Steel screen test. 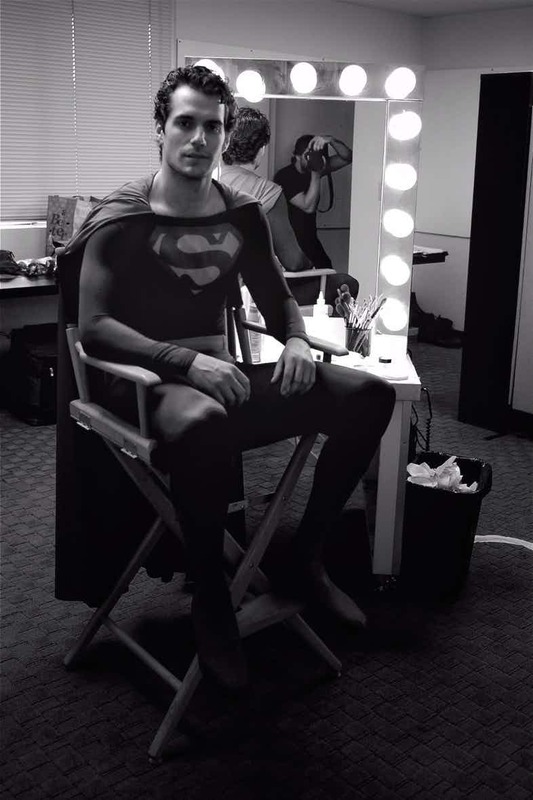 Captioned with “I knew when I saw him he was my Superman,” the post from Snyder’s Vero account shows a younger, somewhat thinner Cavill lounging in Christopher Reeve’s suit, which when seen in black and white, you have to admit kind of looks like George Reeves’ suit from the 1950’s TV series, The Adventures of Superman. Or, maybe, the one Kirk Alyn donned in the 1940’s film serials. Interestingly enough, wearing the costumes designed for past actors during screen tests is nothing new. In fact, Christian Bale and others auditioning for Batman Begins had to test in Val Kilmer’s sonar suit from Batman Forever. Having seen those on one of the bonus features included in The Dark Knight Trilogy box set, I can say with certainty that it didn’t look that bad. But at least Bale and Cavill had their own suits designed for their respective movies, the same of which can’t be said for poor Robert John Burke who had to wear Peter Weller’s costume in RoboCop 3, which was apparently a painful experience. No matter what naysayers will tell you, Henry Cavill can next be seen as Superman (hopefully with a black costume and glorious mullet) when Justice League arrives in theaters on November 17, with a Man of Steel sequel reportedly following in the not too distant future.